Central Asia is being mentioned more times than ever these several months in the context of terrorism after Abdulkadir Masharipov murdered dozens in Istanbul night club. His name was joined by Rakhmat Akilov ramming pedestrians in Stockholm; Akbarjon Jalilov suspected blowing himself up with other passengers of the St. Petersburg metro; Abror and Akram Azimov brothers suspected in helping Akbarjon Jalilov. All of them are suspected in support of IS and its murderous ideas. All of them were born in Central Asia. Is it appropriate to speak about a surge of extremism in Central Asia? How could these people have ended terrorists? Is it acceptable to lay the responsibility for crimes on all migrants from south countries of the former Soviet Union like some Russian officials do? There will be more publications about it. Below are findings of the Fergana correspondent Shokhrukh Sayipov about Azimov brothers and the Aftonbladet journalists from Sweden. 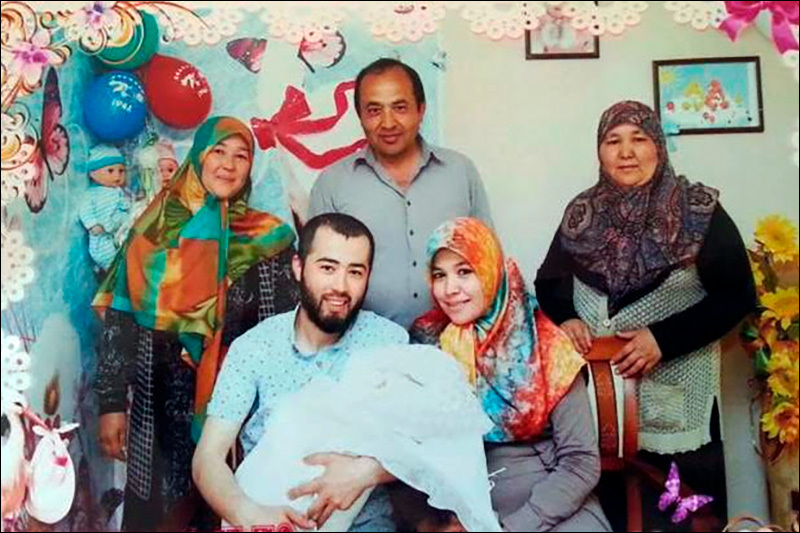 Family and neighbours of Abror and Akram Azimov brothers do not believe them being terrorists. 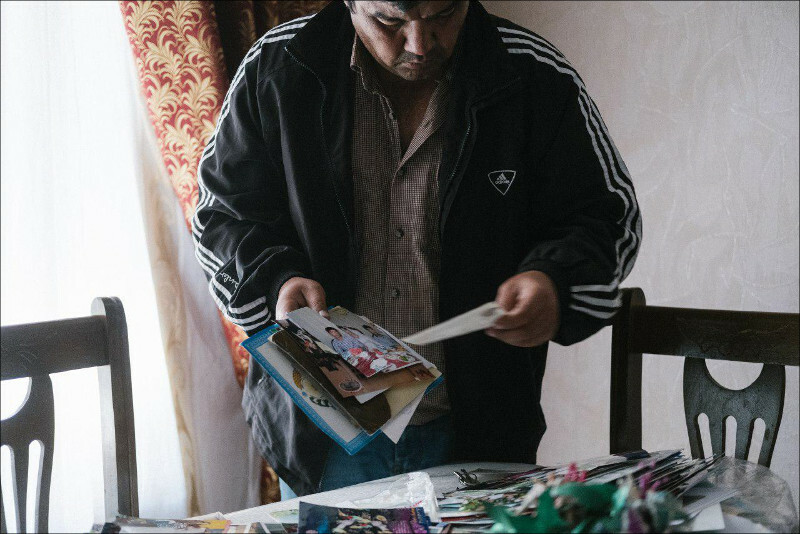 Mother of Azimov lives in Jalal-Abad town with her youngest son Bilal, who works in trade business. She said her 29-year-old son Akram had returned back home in March 2017 to treat his antritis and had stayed in private hospital in Osh city. She expected her 27-year-old Abror to return soon too as all of them had been planning to build a house in Jalal-Abad. Bilal Azimov recalls TV report about how his brother Abror was apprehended by Russian special services, ‘Abror is slim and never comes out without a belt, but in the video he does not have it. How could he hold the gun in jeans without the belt?’ Bilal believes this video is tampered with. Elder brothers were in Russia only to earn money. They held a wedding for their only sister at the beginning of the year and returned to Russia. Bilal added that Abror had been in Russia for a long time and had been sending money for his sick daughter. A mother of Azimov brother Vazira Mirzaahmedova divorced many years ago and lives in the house of her parents. She worked as a small trader on the local market. In 2010, along with Akram and Abror left to Ukraine to look for a job, and in 2013 arrived to Moscow; that year Azimov brothers acquired Russian citizenship. She believes a video recording of apprehension of her sons in Russia was staged. Vazira Mirzaahmedova said her son Akram had been in hospital since 12 April and had an operation on 14 April, and next day he was taken away by the GKNB (national security service of Kyrgyzstan) officers. She had been waiting with the lawyer on 16 April to be seen by the GKNB officer in order to meet with her son, when her son Bilal called her to tell about Akram had been captured in Moscow. 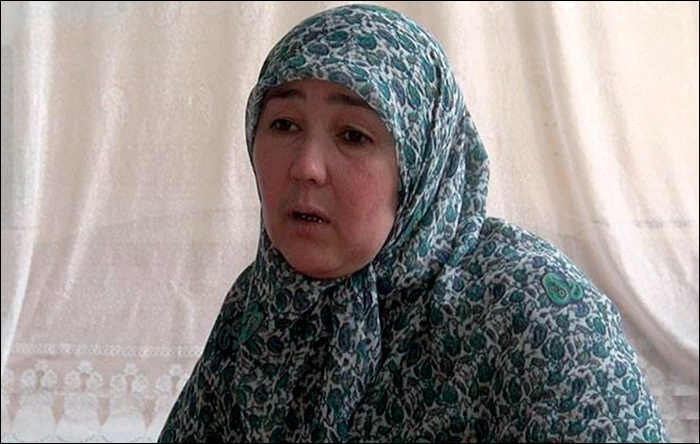 Vazira Mirzaahmedova insists that her son Akram Azimov was kidnapped in Kyrgyzstan and brought to Moscow to stage his ‘capture’ with a grenade. Today Azimovs do not trust the lawyers of Abror and Akram and plan to find other. They do not agree that one of the lawyers allowed his defendant to admit the guilt, even partially. And the lawyers never contacted Azimovs’ relatives. 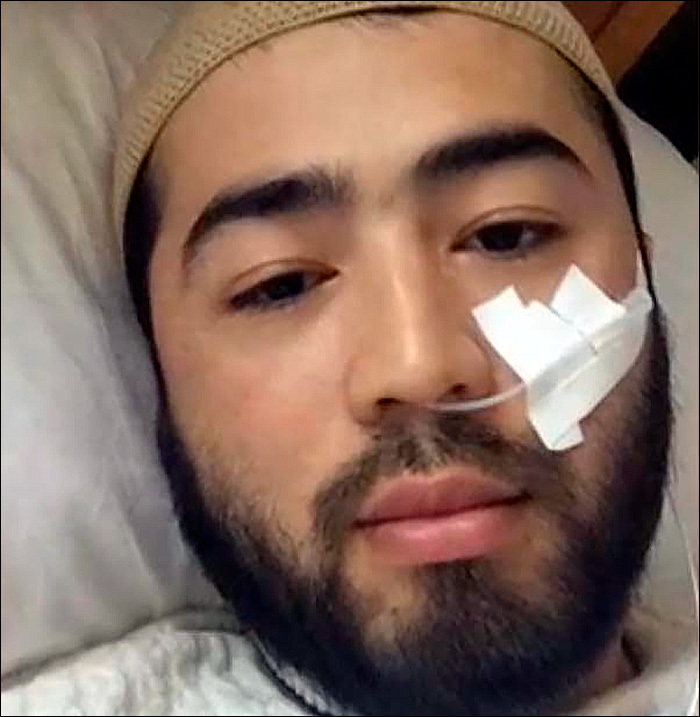 Doctors of the private hospital in Osh were annoyed with an attention from journalists, but one of them anonymously confirmed that Akram Azimov had stayed in the hospital from 12 until 15 April, and he had an operation. Dilbar continues that this family ‘has never ever conflicted with neighbours, children have been obedient, smart and serious, have studied well at school’. ‘We don’t believe they are involved in terror crimes of the St. Petersburg metro. We don’t believe they could,’ she concludes. Father of Azimov brothers Akhral Azimov also believes his sons are innocent. A resident of Osh city Nizam says all suspected in terrorism are Russian citizens, and believes only there they could be converted into criminal activity. ‘After the anti-corruption protest in Russia by the opposition Navalny the state did itself this terror act to distract attention of the people’, he insists. 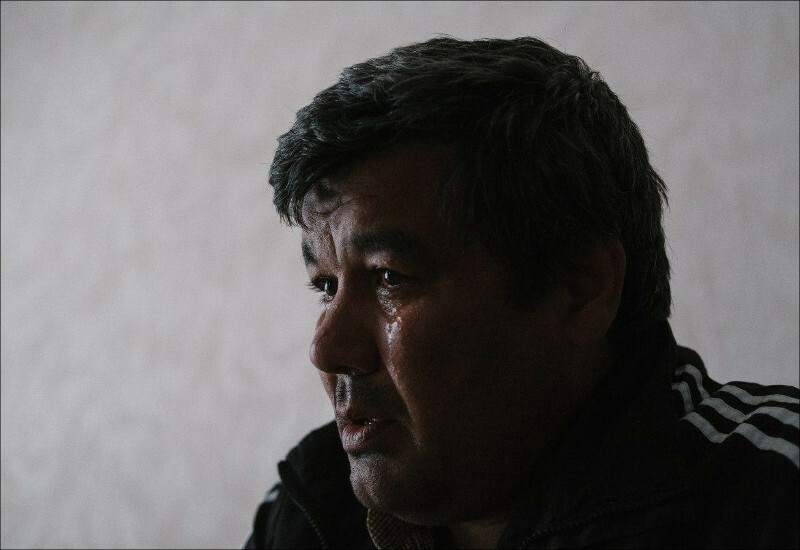 Aftonbladet journalists visited Uzbekistan to know more about Rakhmat Akilov. His brother Olim Akilov lives fifteen kilometres from Samarkand, in the outback where there is almost no Internet. In the very first minutes after the meeting, it turned out that Olim Akilov had not been aware of the tragic events that occurred due to the fault of his own brother. Within an hour and a half Olim Akilov answered journalists' questions, nervously smoked, was very upset, cried. Rakhmat Akilov, his brother recalls, was an intelligent, a hard-working and a friendly boy in school and afterwards. Olim Akilov cared much about his brother, while both of them enjoyed ‘a good childhood and good life’ and loved by parents. Both of them speak Russian well and were able to find work in Russia after the collapse of the Soviet Union, while Rakhmat worked even in the evenings to earn more. They looked after families of each other, when one of them was abroad. Only thing Rakhmat Akilov could be furious about is that his wife was leaving the family to Turkey few times and the last one was in March 2017, his brother recalls. It is noteworthy that on the evening of the same day, shortly after meeting with journalists, Olim Akilov was brought to a conversation with the local branch of the National Security Service of the republic, but was released the following day without charges. An eighty-year-old woman Zulfiya Yarollayeva remembers Akilovs since the 1960s calling them as ‘fine, not religious at all’. She added that Rakhmat Akilov had left to Sweden to earn money and his wife ‘sends her children money from Turkey’ and she had used to hear him fighting with his wife, adding that ‘it is normal in marriage’.